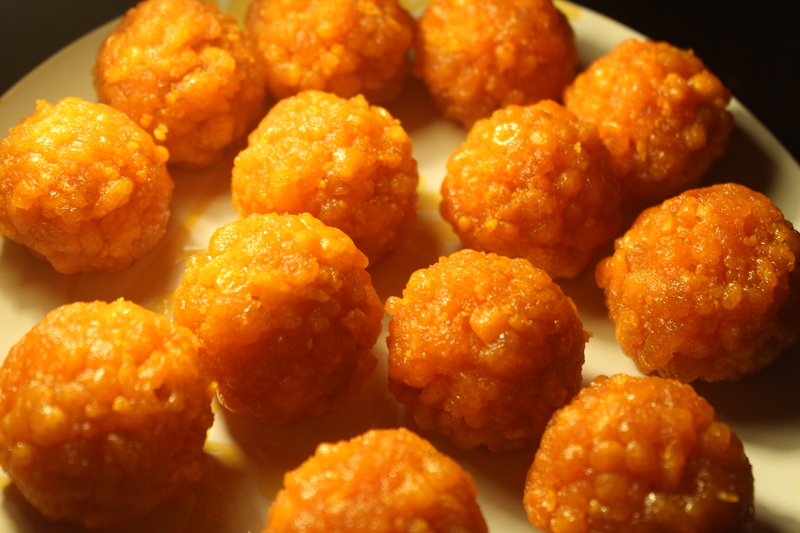 Bangladeshi style balushai is one of the dry sweets I am crazy for !! 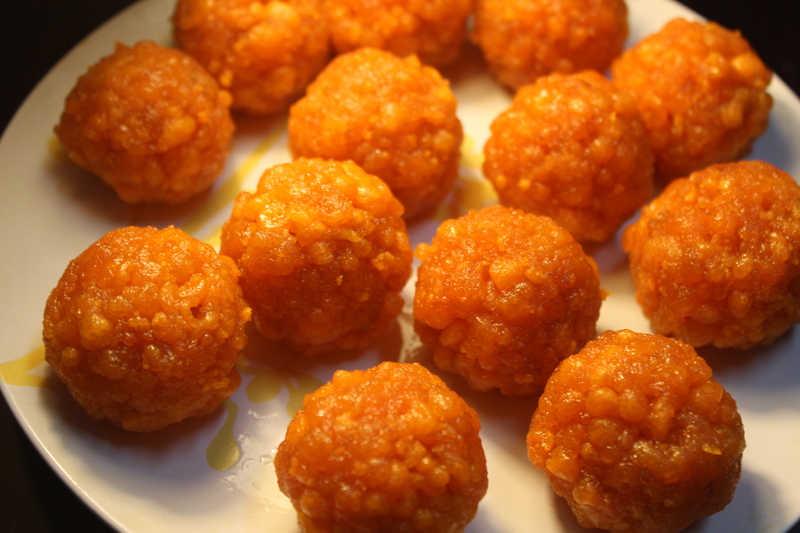 The reason I’m saying Bangladeshi style , because though this sweet is common in every country of the subcontinent , Bangladeshi version is little different as nutmeg flovred maowa/ khoya is stuffed inside the sweet, making it more flavorful. 1. Make a dough with the ingredients mentioned above . It will be a flaky , little tight dough . Don’t try to make it sost . Just everything should be come together . Not dry but not soft either . If you think the ingredients are not coming together , you may add little yogurt . But control youself adding too much yogurt to make it a soft dough . The dough need to be little hard . Don’t knead the dough like bread . 2. Cover the dough and let it rest for 30 minutes . 3. 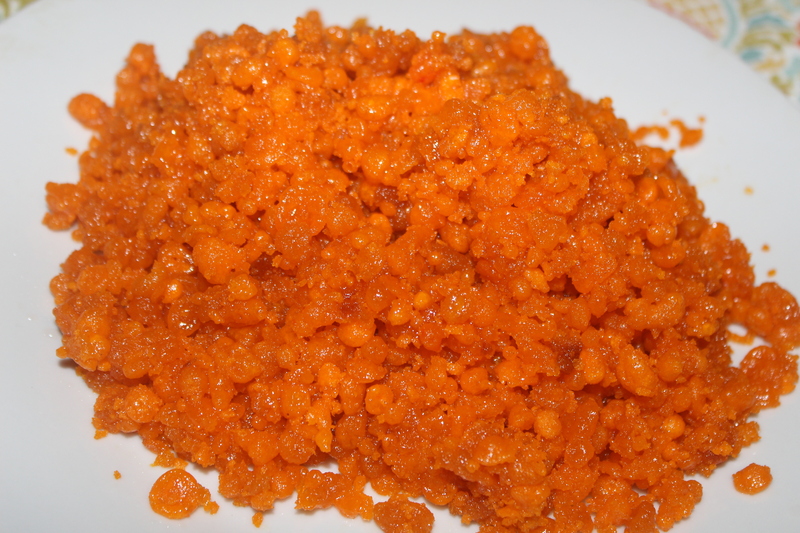 In the mean time heat the oil for deep frying in medium low flame , prepare sugar syrup and the khoya. 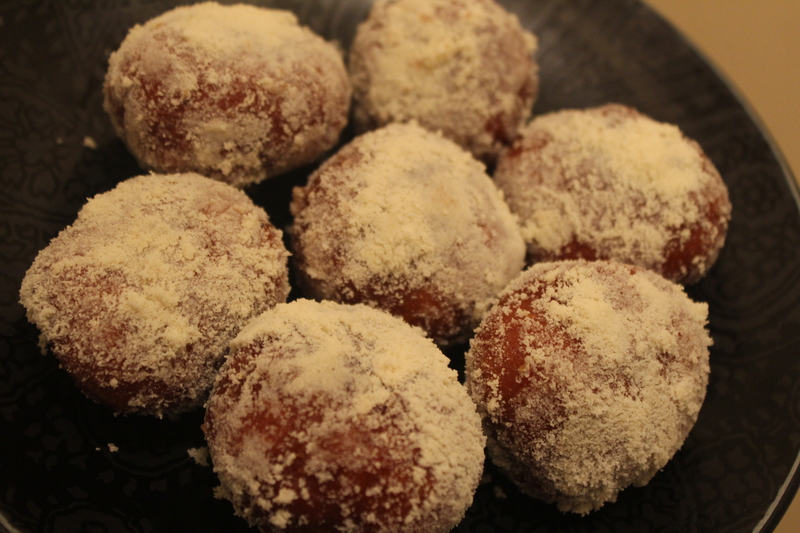 If you dont have khoya , make it with powder milk . For that take half a cup of powder milk , add 2 tbl spoon ghee and 1/3 rd cup liquid milk/ heavy cream . Now microwave it for first 30 seconds and stir , microave again for 30 seconds . Check and stir like so , so that the khoya must not get burnt . 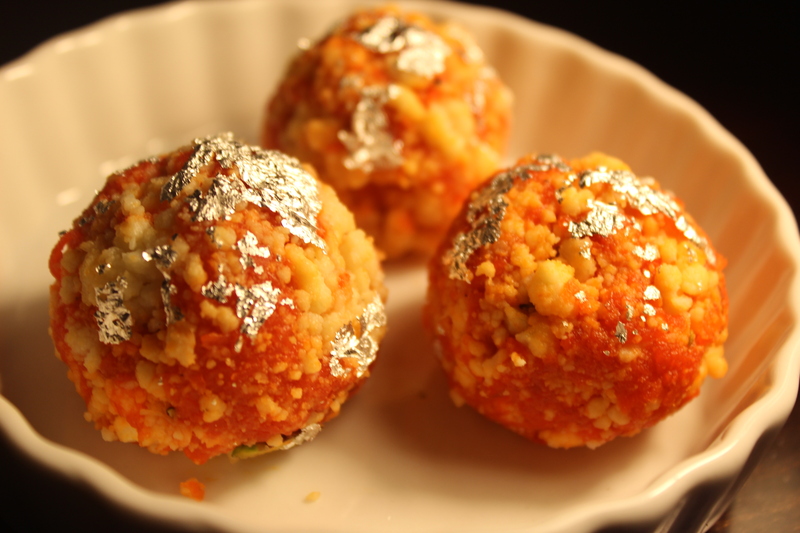 The liquid will dry out a little , don’t try to dry out completely as it may make the khoya burnt . just when little wet , is perfect . It will solidify when cools down . You can do the full process in the stove too , until everything comes together and make a doughy texture . Cool down the khoya and crumble it , mix with nutmeg powder . 4. For the sugar syrup , make a medium thick syrup , must not be too thick ( the syrup won’t get inside the sweets) nor too thin ( the sweets will become soggy) . It should be liquidy but thick . 5. Now take the flour dough . Make small balls from the dough . You don’t have to knead it . Just make balls and stuff maowa inside . Seal the opening and make small flat ball . The balls will get bigger while frying , so don’t make them big in size . 6. Lower the stove and fry the balushais in hot oil at low flame for 15-20 minutes until red . The balushais need to be well fried , that helps to soak the syrup nicely. Immediately transfer to the warm syrup and let it soak the syrup for 2-3 minutes . 7. Take them out from the syrup and dredge over dry maowa . 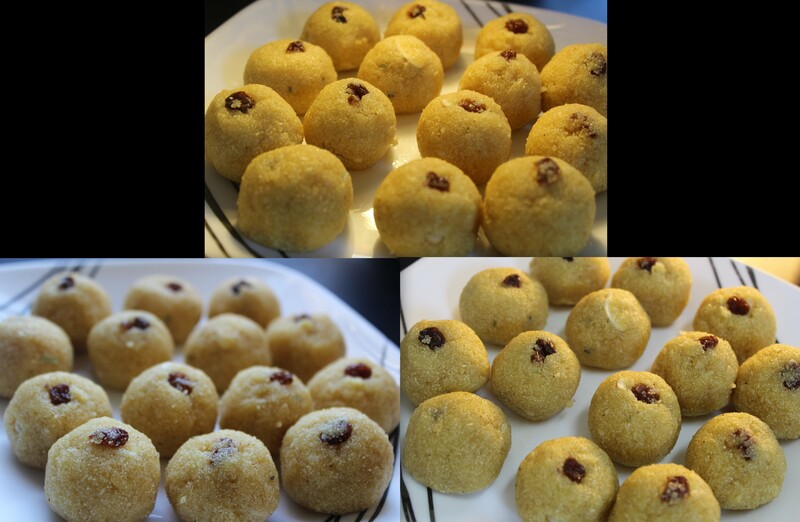 For dry mowa , take powder milk and ghee and make bread crumb like texture . Strain through a strainer . 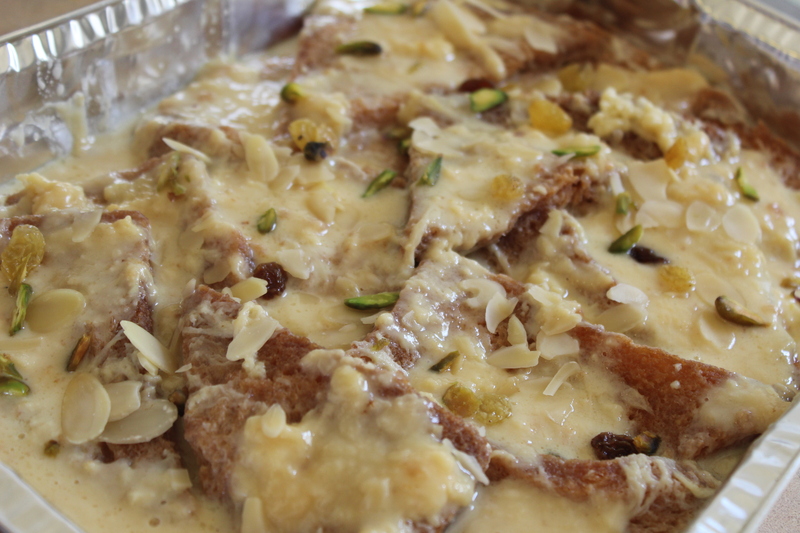 This is my Aunt’s ( my choto khala, we call her Munnila ) recipe . I just improvised a little . 1. Make chaana from 1 and 1/2 ltr full cream milk . For that boil the milk . When the milk is boiling hot add 2 tbl spoon vinegar mixed in 2 tbl spoon water and stir until the water separates from the milk . 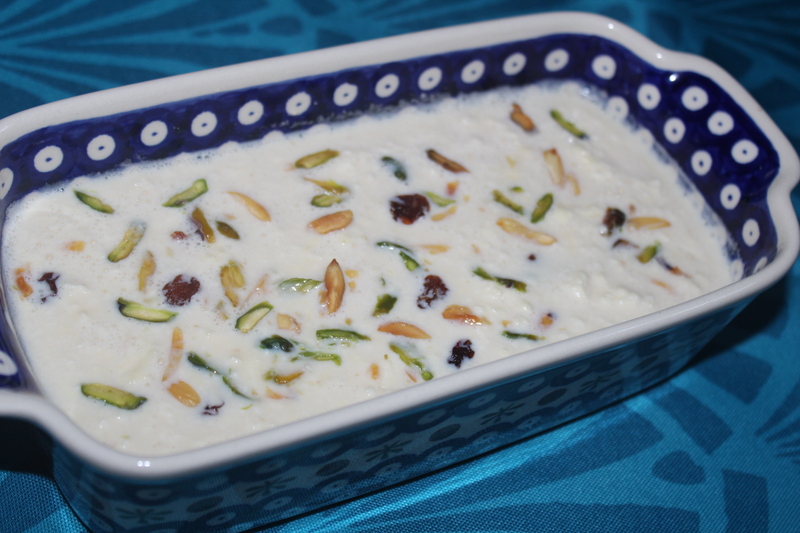 For chaanar payesh , we need little hard chaana unlike chaana for deshi sweets . So I’m using vinegar as it is very strong and curdles the milk more . 2. Drain the chana and wash with cold water . Now squeeze out the water and put the chaan in the fridger for an hour . It would help to set the chaana . 3. 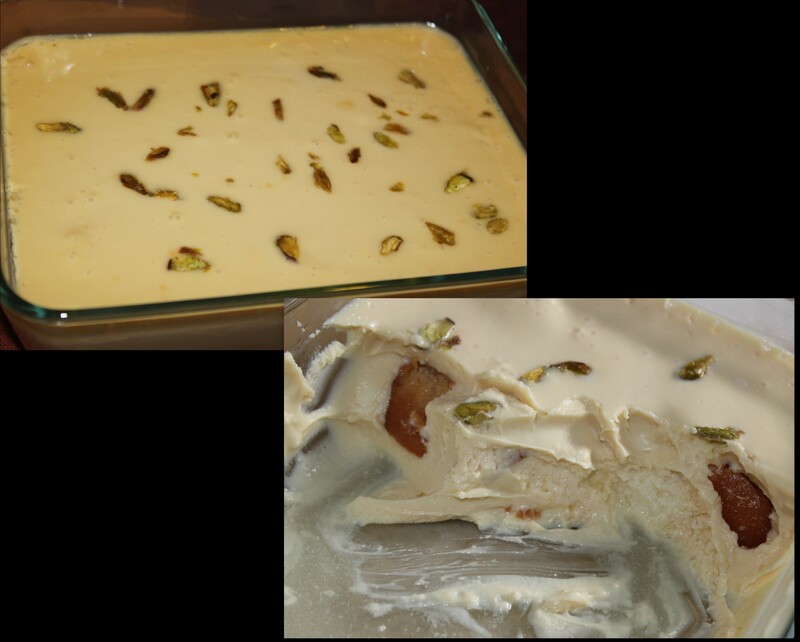 Boil evaporated and regular milk with cardamoms . Add the sugar . Now cool down the milk a little . Add the chaana to the milk , when it is not too hot . Sprinkle some rose water . 4. Garnish with nuts and raisins . 1. If you don’t find evaporated milk just add powder milk with the regular milk to thicken it . 2. You can use condensed milk in the milk mixture too . In that case just reduce the sugar as condensed milk has sugar in it too .